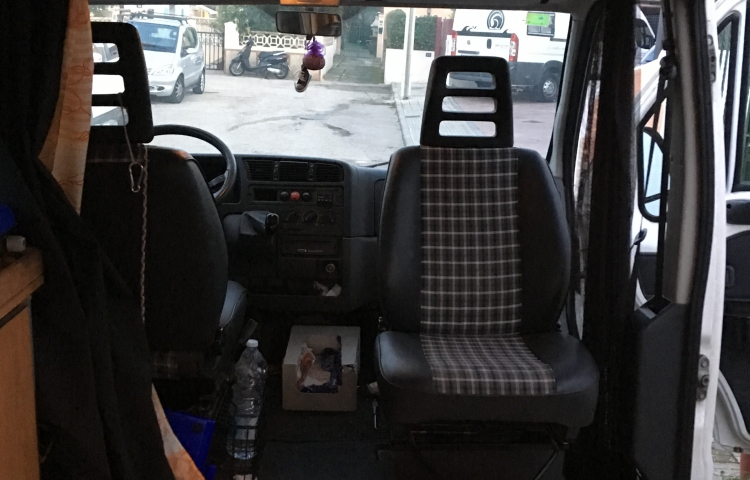 Furgoneta camperizada, perfecto para pasar unos dias en la isla en plan aventura, o tambien para transportar cosas grandes o mudanzas. Tiene remolque y puedo prestar portabicis. Para mi, la mejor opcio para conocer Mallorca, se puede aparcar como un coche (5 m) y asi tienes accesso a muchos sitio con encanto, sea mar o montaña. Segun gusto personal de cada uno os aconsejaré various sitios donde pasar la noche. 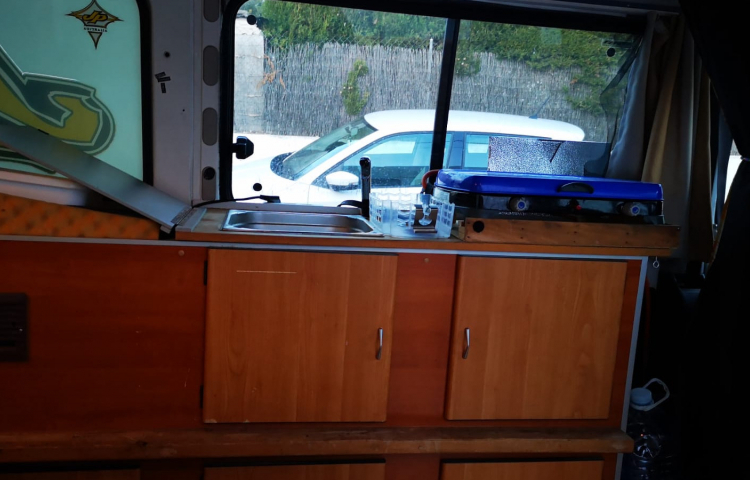 La furgo viene equipada con cama doble (1,40 *2 m), cocina de gas, equipamento para cocinar /BBQ, agua corriente, fregadero, nevera, ducha exterior, calefaccion estacionaria, mesa, cajones, claraboya, mesa y sillas para fuera, sombrilla, manta de playa. Todas las ventanas y la puerta vienen con mosquiteras. Opcion de alquiler toallas y ropa de cama. Por favor solo mayores de 25 con al menos 5 años de experiencia al volante. Solo para uso en Mallorca, no en otras islas. Por favor no fumar dentro. 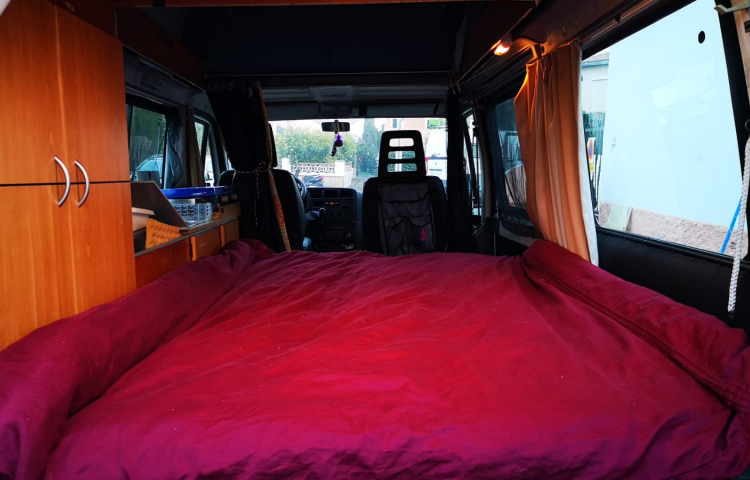 Camping van, perfect to spend a few days on the island, or to transport large things or moving houses. It has a tow bar and I can provide a bike rack. 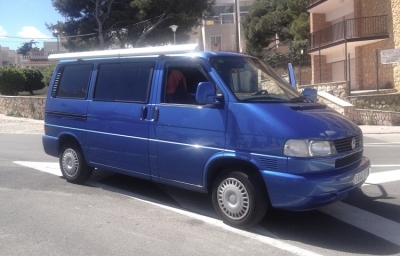 For me, the best option to get to know Mallorca, you can park it like a car (5 m) and thus you have access to many charming places, be it sea or mountain. According to personal taste of each one I will advise you various places to spend the night. 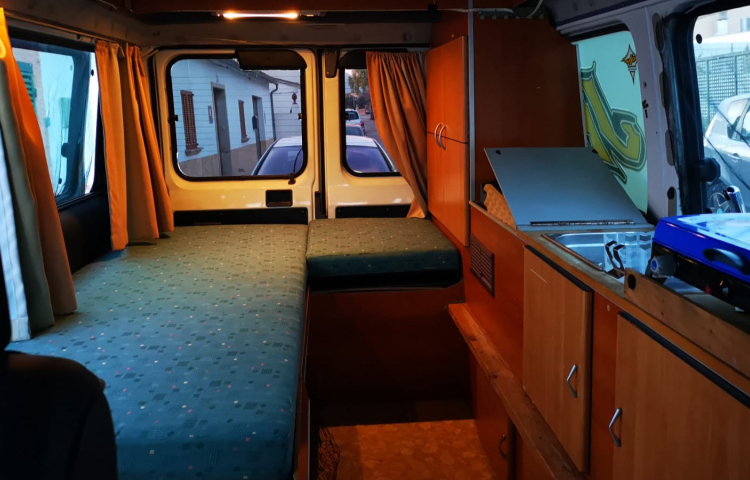 The van comes equipped with double bed (1.40 x 2 m), gas cooker, cooking / BBQ equipment, running water, sink, refrigerator, outdoor shower, stationary heating, table, skylight, table and chairs for outside , umbrella, beach blanket. All the windows and the door come with mosquito nets. Option to rent towels and linens. Please only older than 25 with at least 5 years of driving experience. Only for use in Mallorca, not on other islands. Please do not smoke inside. 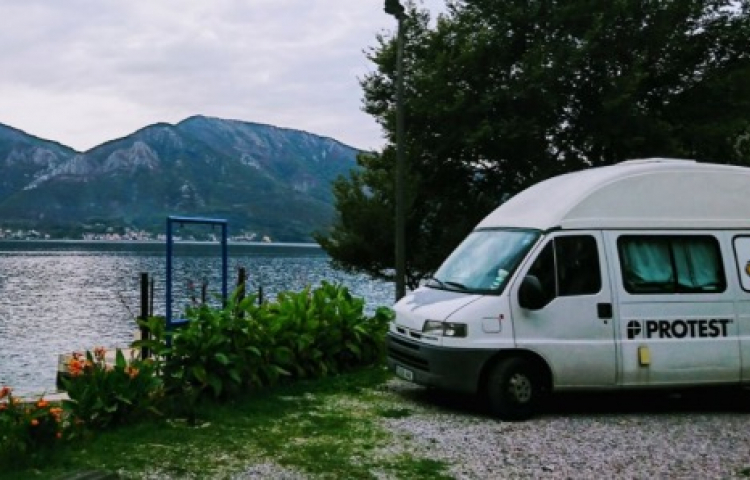 Campingvan, perfekt um ein paar Tage auf der Insel zu verbringen, große Dinge zu transportieren oder für den Umzug. Der Van hat einen Anhängerkupplung und ich kann einen Fahrradträger bereitstellen. Für mich die beste Möglichkeit, Mallorca kennenzulernen, man kann ihn parken wie ein Auto (5 m) und hat dadurch Zugang zu vielen reizvollen Orten, sei es am Meer oder in den Bergen. Je nach persönlichem Geschmack kann ich euch verschiedene Übernachtungsmöglichkeiten und Strecken empfehlen. 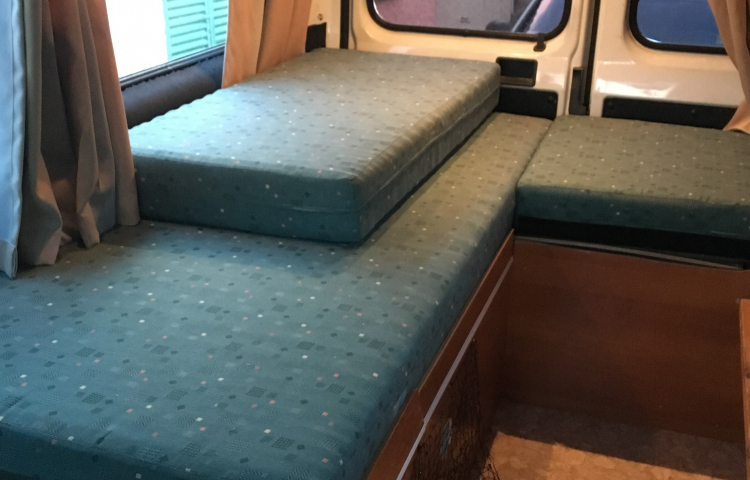 Der Transporter ist mit einem Doppelbett (1,40 x 2 m), einem Gasherd, Koch- / Grillzubehör, fließendem Wasser, Spülbecken, Kühlschrank, Außendusche, Standheizung, Tisch, Dachfenster, Tisch und Stühlen für draußen, Sonnenschirm und Stranddecke ausgestattet. Alle Fenster und die Tür sind mit Moskitonetzen ausgestattet. Möglichkeit, Handtücher und Bettwäsche zu mieten. Bitte nur Fahrer älter als 25 Jahre und mindestens 5 Jahre Erfahrung am Steuer. Nur für den Einsatz auf Mallorca, nicht auf anderen Inseln. Bitte nicht rauchen.